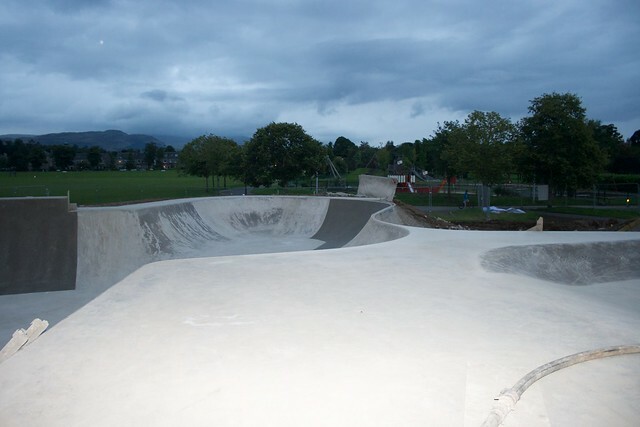 Skateboard Scotland was in the central belt to get the lowdown and offer assistance for the opening of the rebuilding of Stirling’s King’s Park Skatepark. 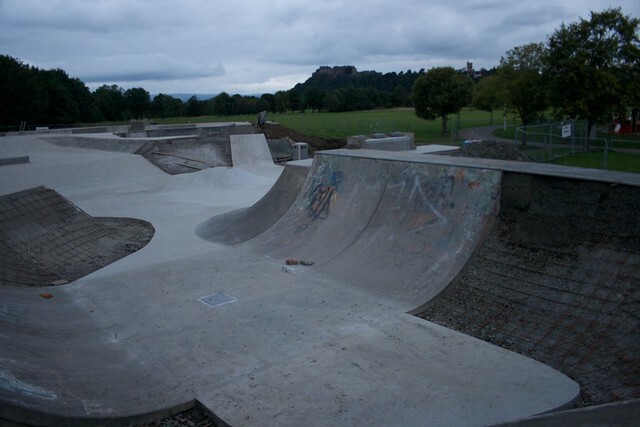 For a bit of a back story, Stirling was originally built before the current crop of NewCrete starting with Perth and was at the time one of the bigger outdoor parks in the country. 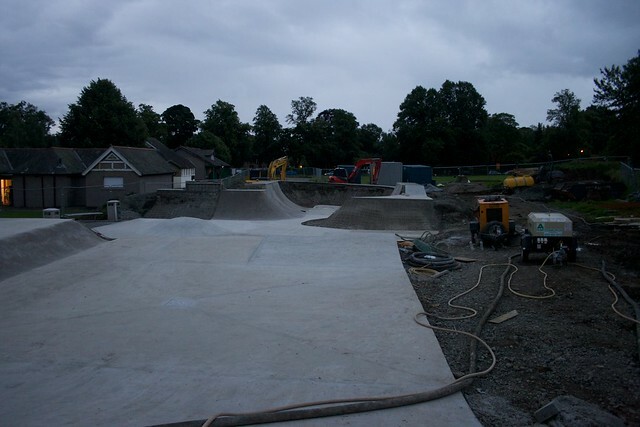 The old park has been all but dismantleted leaving only the old and rather pleasant prefab halfpipe. 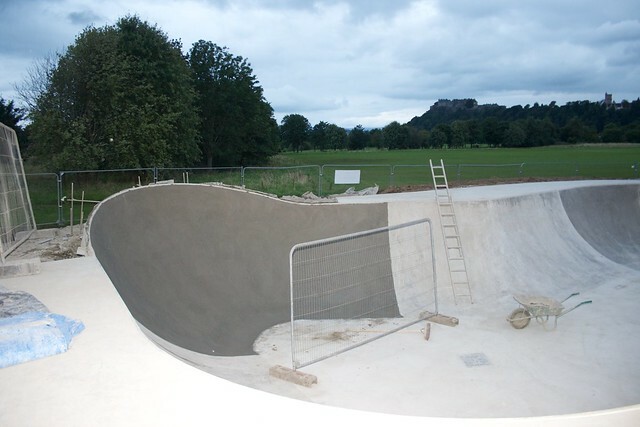 The new has been built into a similar footprint around the old halfpipe which has been bowled off but is looking to be a lot more challenging and more in keeping with the modern Scottish scene. We met a nice security man who let us get in for a closer look which you can check below. When does it open ? 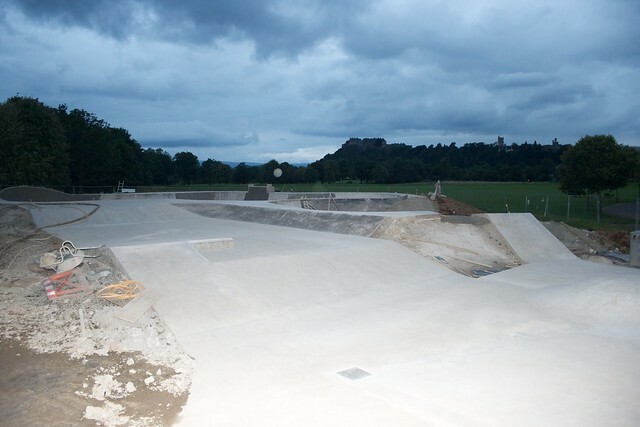 Week commencing the 10th of September. No specific date as yet.